RFID tagging is an identification method of using small RFID devices for tracking purpose. The RFID tag system comprises of the tag itself, a read/write device, a backend software system for data collection and processing. A standard RFID tag consists of a chip, memory to store information and an antenna. An RFID tag that has its own power source is known as an active tag. Tags that do not run on power are known as passive tags. Passive tags draw energy from the RFID reader and the current is small enough to transmit information such as the ID number. Active tags have more memory in general and can transmits information at much greater distances. A passive RFID tag has 2 main components – the antenna of the tag and the integrated circuit. As the name suggest, passive tags wait to receive signals from the RFID reader. 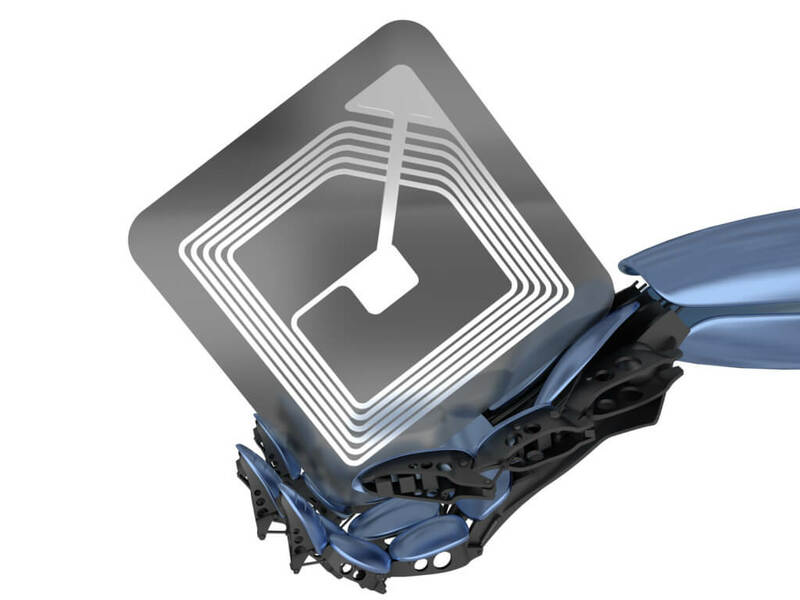 The RFID reader emits energy to the antennas, which transforms that energy into a RF wave which is sent into a detection zone (typically 3 metres). When the tag is within this detection zone, its internal antenna receives energy from the RF wave. This powers up the IC in the tags, which sends a signal, known as backscatter, back to the RF detection zone. This is then detected by the RFID reader, which sends this information back to the server. As mentioned previously, the passive RFID tag does not have a power source, and mainly comprises of an antenna and an integrated circuit. This is a core basics of the passive RFID tag structure and is commonly known as RFID Inlay. There are several RFID tags of different form factors in the market, but they mostly fall into 2 main categories – inlays or hard tags. A Hard RFID tag can be made of materials such as plastic, metal, rubber or ceramic, and is designed to serve several applications. Passive Tags can be further broken down in sub categories. High Temperature: Some passive tags are designed to endure extreme temperatures, such as the ones used to track the durability of medical instruments in testing processes. Rugged: Ruggedised tags are required for good performance in outdoor environments such as construction or shipping yards. Size: The size of tags can vary depending on the size of the items that it is being used to track. Materials: For specific applications such as tracking of metal objects, UHF Anti-Metal tags be the only option. Embedded – Some certain use cases, the RFID tags can be embedded into the object and covered with epoxy, to prevent wear and tear. Inlays are typically the cheapest tags, but have the same performance as the hard tags. Inlays can be grouped into 3 main categories. Dry Inlays- Typically looks like a laminated piece of RFID tag, and has no adhesive. Wet Inlays – The RFID chip comes with an adhesive backing, and are normally transparent. Paper Tags – As the name suggests, these are paper tags that are useful is numbers or logos has to be printed onto them. An Active RFID tag has its own power source that allows it to have relative long read ranges ( up to 100 metres), as well as store larger amounts of data in its memory. The standard battery life of active RFID tags are between 3 – 5 years, and needs to be completely replaced when the battery dies. Beacons – In such a system, as the name suggests, the active tag will not wait for any reader signal, but instead sends out a signal every few seconds. These tags can be read several hundreds of metres away, but in order to save battery, the transmission power is usually lowered for around 100 meters of read range. Transponders – In this system, the reader will send out a signal first, and following this the active transponder will revert back with a signal and information. Such a tag is known to be efficient, as no signal is sent when it is out of the reader’s range. Example of typical use cases are toll payments for vehicles. More functionalities such as integration with GPS, etc. We start to see that RFID tagging is commonly used in the supply chain management as a replacement for bar code technology. 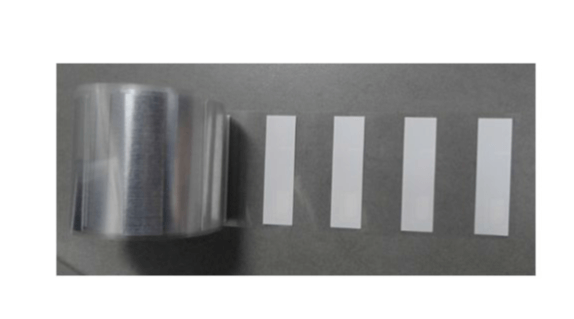 Despite being more expensive that bar code stickers, RFID tags are more durable and do not require a direct line of sight between the tag and the reader. There are countless applications for the use of RFID tags. RFID tags can be used to track livestock, people, items, etc. In a hospital setting for example, RFID tags can be used to help staff identify a patient who is not able to speak, and even provide information on the medical history records. JA Security can provide tags of various sizes, spaces and specifications to fit your unique requirements. JA Security offers a number of RFID solutions to fit your warehouse management needs. Email info@ja-si.com or call +65 91892707 for more information. We provide fully customized RFID solutions in Singapore.